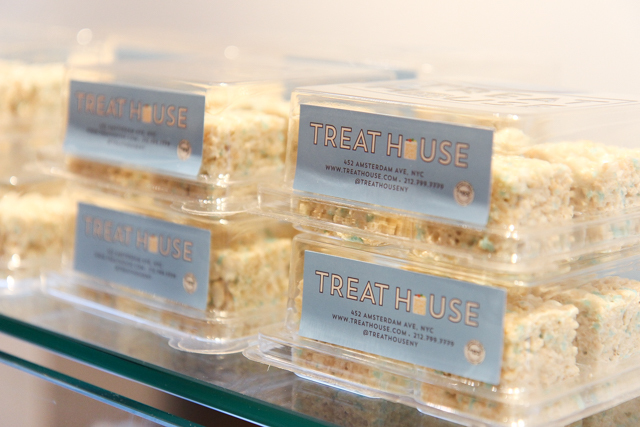 A while back I wrote about the Treat House, an adorable bakery on the Upper West Side specializing exclusively in delicious Rice Krispy treats in a variety of amazing and gorgeous flavors, like coconut, peanut butter and jelly, and birthday cake (to name just a few). Well, I’m super excited because they recently opened another location, mere blocks away from my apartment on the Upper East Side! 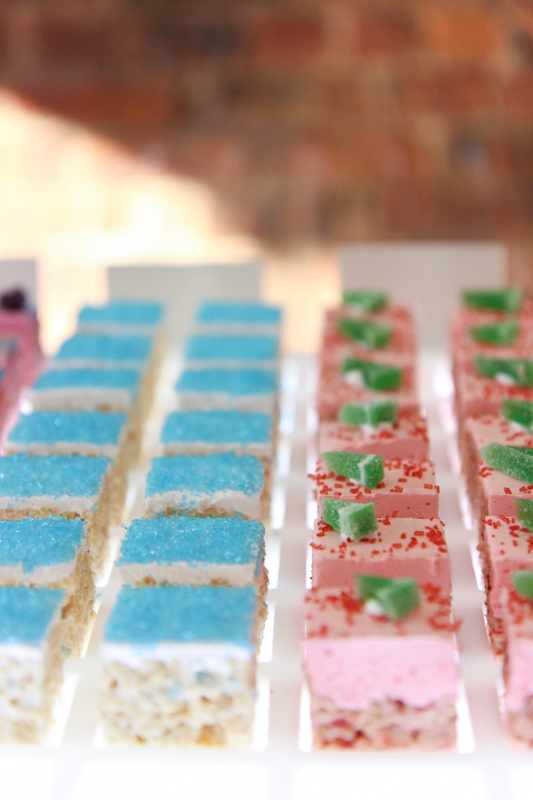 Today I’m psyched to share some photos I took at the shop as well as a few interesting things I learned from chatting with the wonderful owners, husband and wife duo Chris and Jennifer, along with their amazing pastry chef, Wendy, at the opening party for the Upper East Side location. 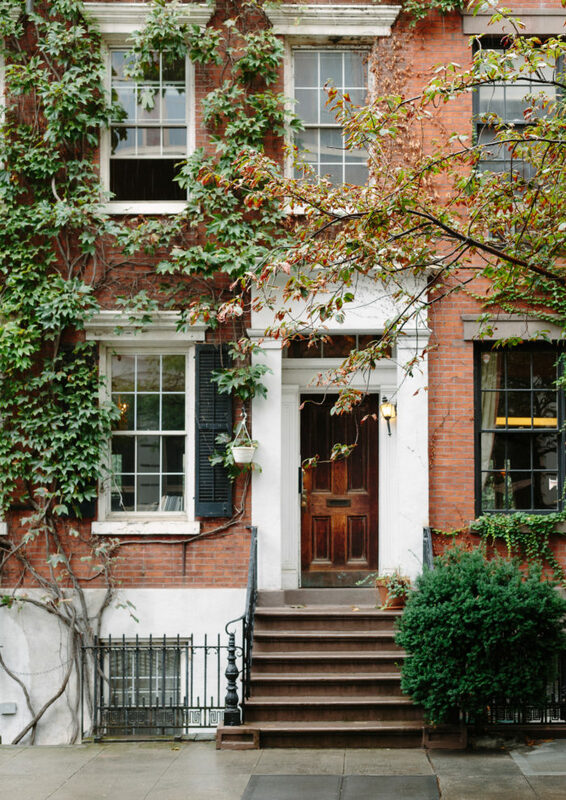 I can’t thank them enough for having me, and I’m excited to take you on a tour of this adorable shop! 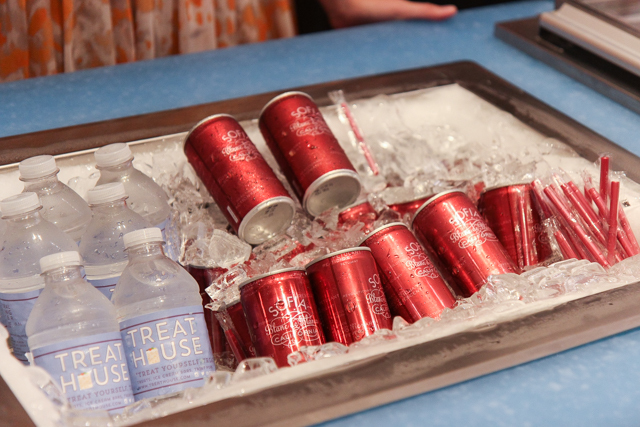 The concept for the Treat House all started with that most common of grade school events – the bake sale. Chris and Jennifer’s two sons were tasked with raising $50 to go towards sporting equipment for kids in Africa, and they decided a bake sale was the way to go. 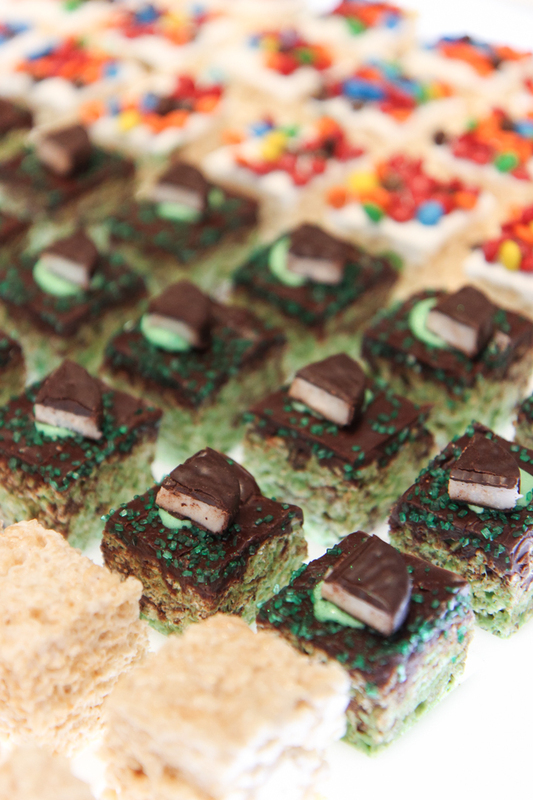 Inspiration struck, and the family decided to sell upgraded versions of the old bake sale favorite, Rice Krispy treats, by making them in three different flavors: mint chocolate cookie, butterscotch sprinkle, and dark chocolate cherry. 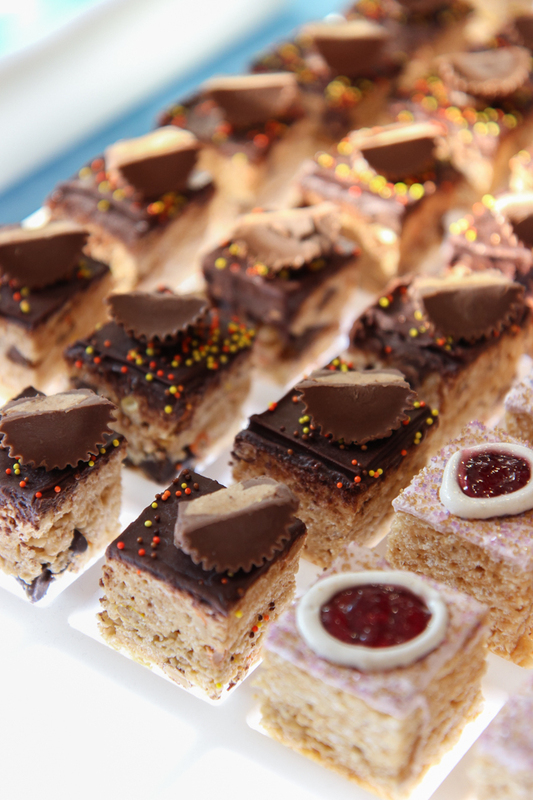 The treats were a rousing success, with customers returning for seconds and thirds and demanding to know where these gourmet treats could be purchased. 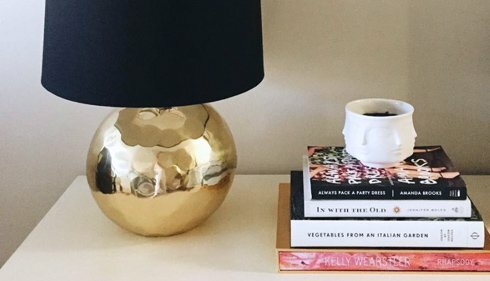 The kids raised $300 for their charity, and Chris and Jennifer realized they had a seriously unique idea on their hands – an untapped market if you will. 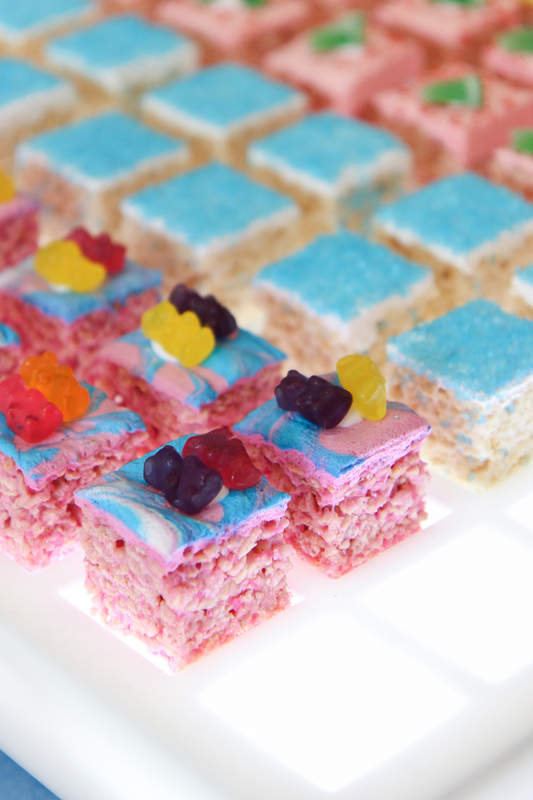 NYC was (and is) teeming with bakeries, cupcake shops, cookie shops – but no one was making Rice Krispy treats in upscale and interesting flavors. Then and there, a simple but brilliant idea was born. 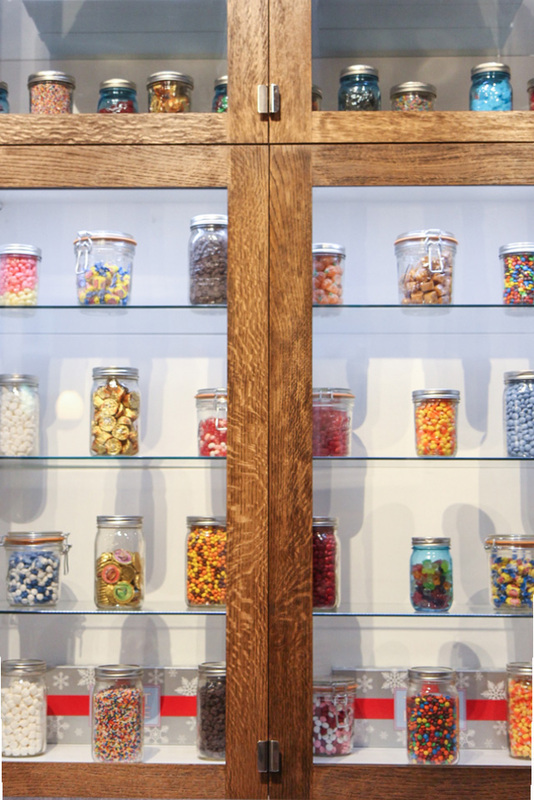 Chris and Jennifer took a leap of faith, quitting their jobs and spending two years developing and testing flavors before opening their Upper West Side shop, which has met with rousing success! 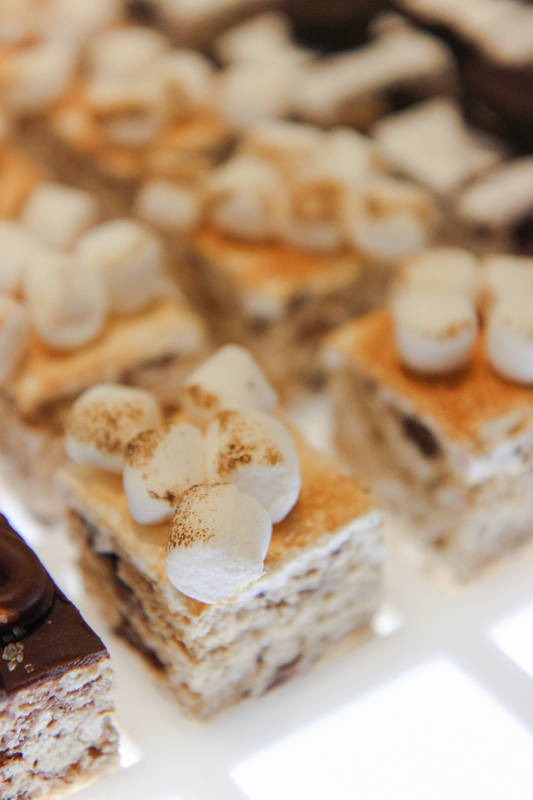 Wendy Israel, the Treat House’s talented pastry chef, comes up with tons of flavor ideas in collaboration with Chris and Jennifer…what a fun job. Chocolate chip cookie is their newest bestseller, only available on weekends – and it sells out quickly, as one might imagine. 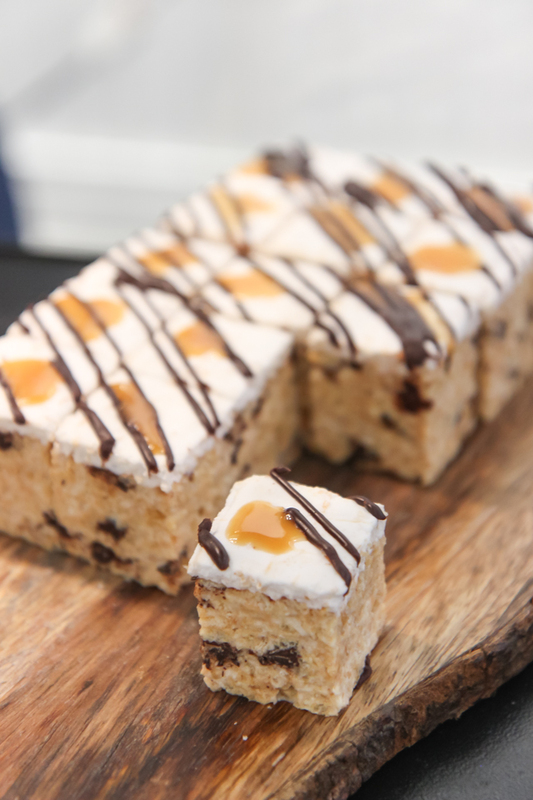 It actually has a layer of chocolate chip cookie inside the treat, plus a little mini cookie on top. 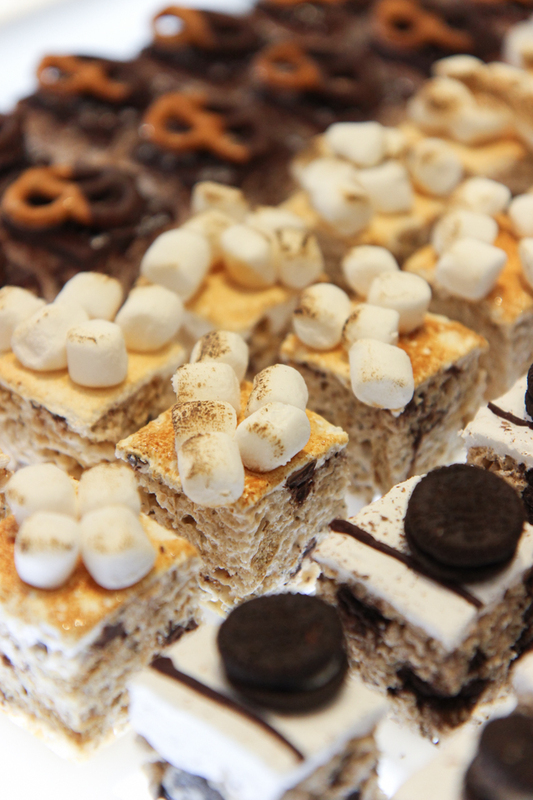 Other popular bestsellers include s’mores (with a layer of burnt marshmallows on top), cookies n’ cream, and chocolate peanut butter. 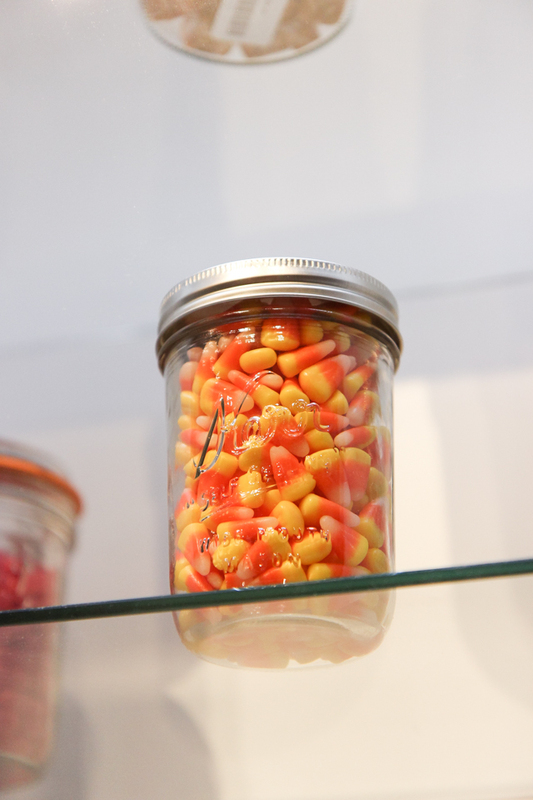 Candy in mason jars as decor…I wholeheartedly approve. Chocolate mint, and M&Ms behind that. 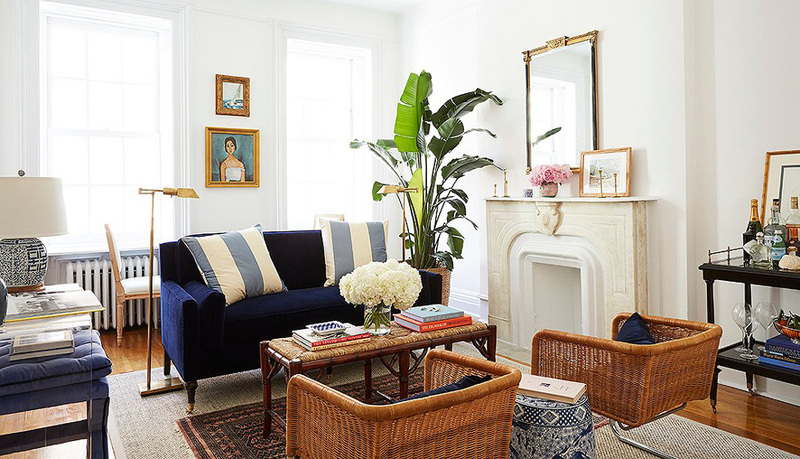 The Upper East Side shop is sleek and modern, but also rustic, welcoming and friendly. I asked Chris and Jennifer if they hope to open more shops, and they explained to me that while they hope to keep expanding (and are indeed opening up downtown at One World Trade next year), it is important to them that they always keep their hands in the business in terms of quality control. 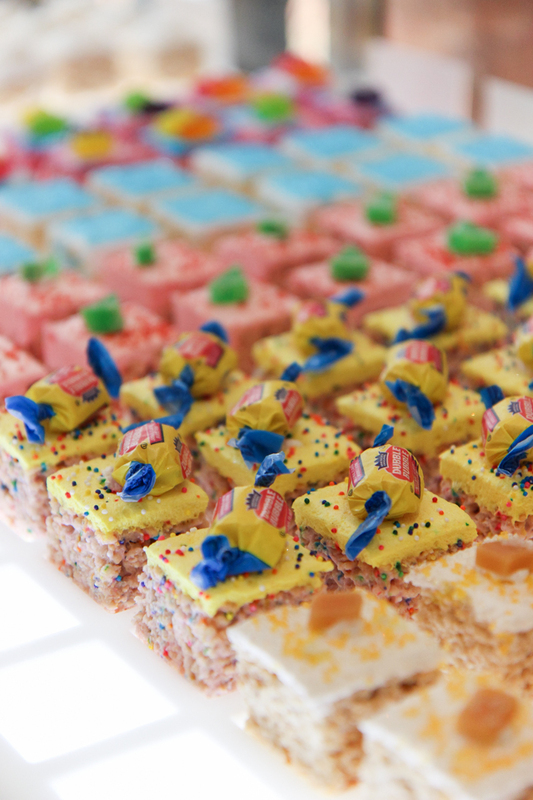 They started in an 80 square foot kitchen and while they still retain that “mom and pop shop” feel, they now do desserts for many events and corporate clients. They even created a wedding cake made entirely out of treats for one bride (who must have very good taste). 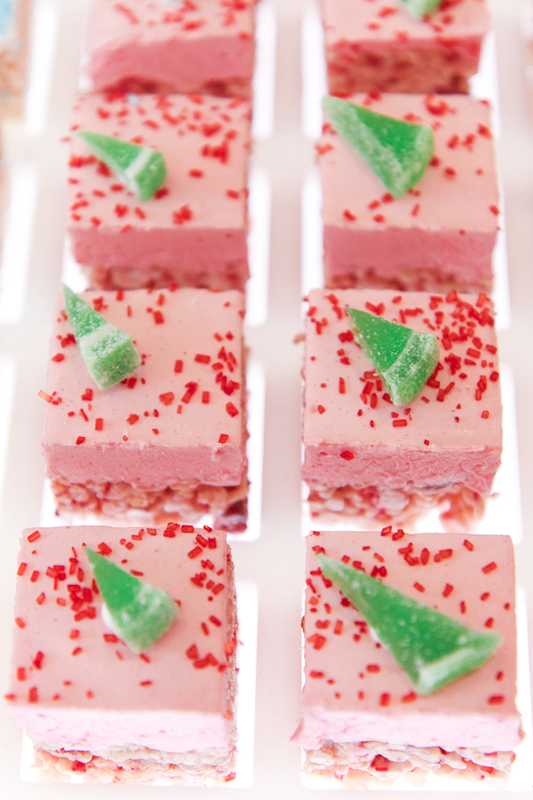 These desserts are great for gift bags at weddings or showers as well. In love with all of these bright and pretty colors! 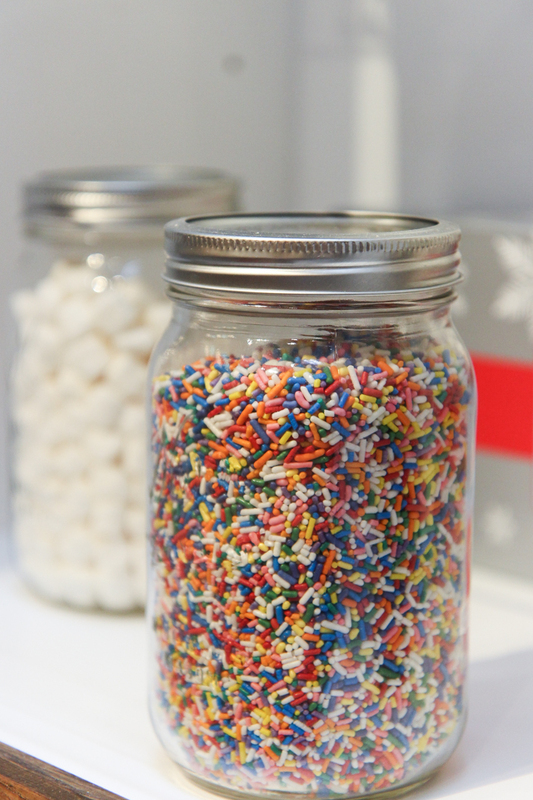 One fun feature of the Upper East Side location is their new do-it-yourself treat decorating bar, where you can sit down with some treats like the ones above and decorate them yourself with a plethora of toppings! We got to try out this fun concept at the opening party, which they were kind enough to invite me to, and it was so cute and fun. Such a perfect date idea! 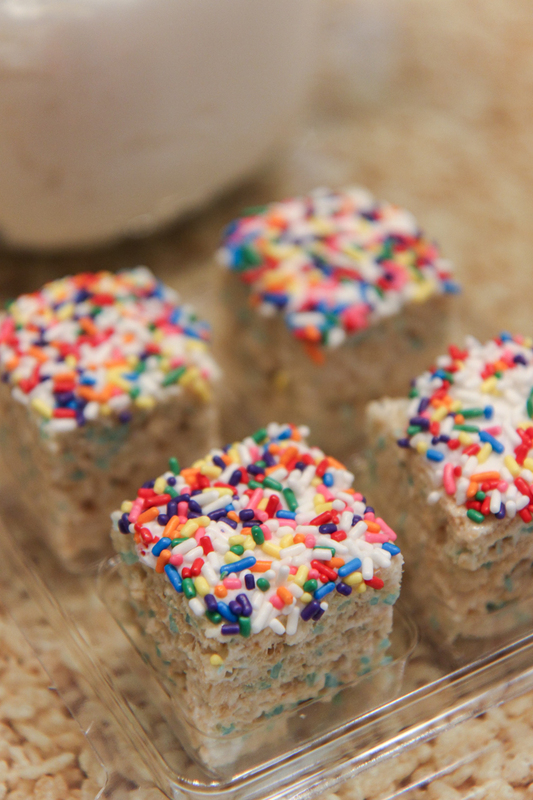 You just spread marshmallow on top of plain treat squares and then sprinkle on your preferred topping. 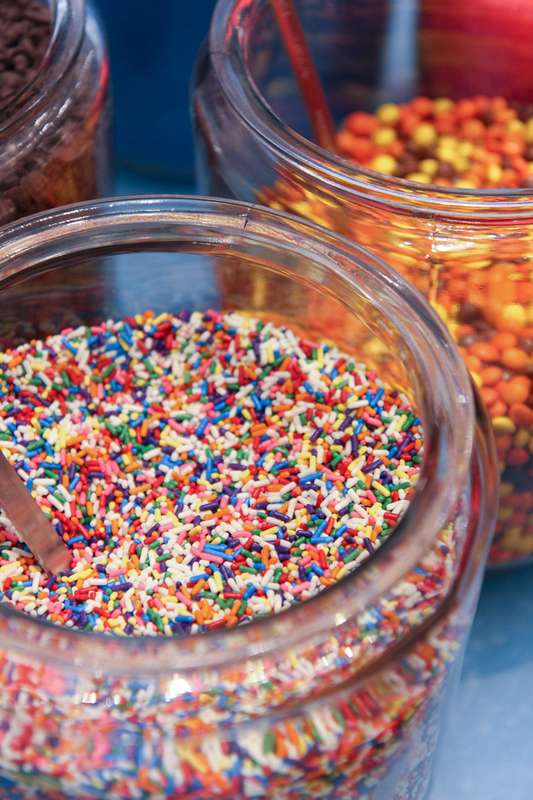 I decided to go with my favorite – all rainbow sprinkles! 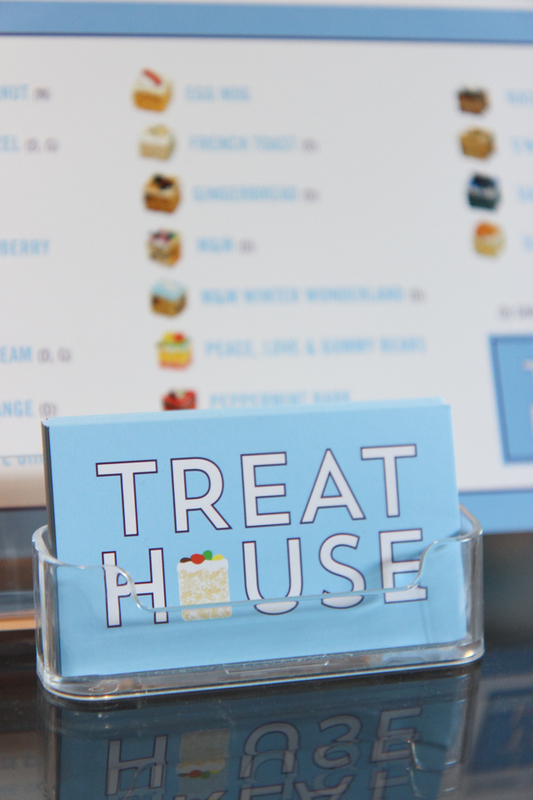 The Treat House delivers nationwide, so you don’t have to be local to sample these delicious desserts! 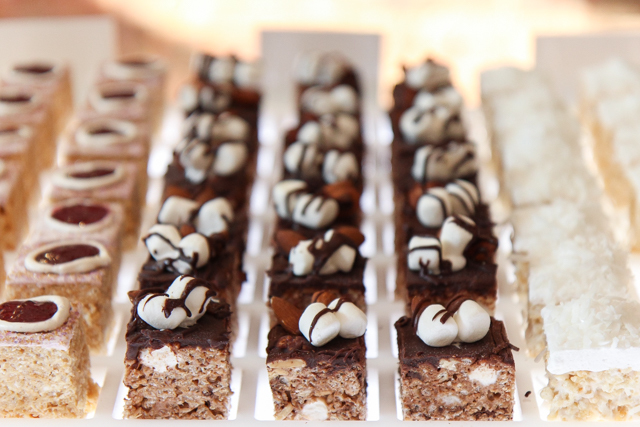 All treats are kosher and many are also dairy, nut, and gluten-free, and they can be customized for pretty much any event you can imagine. They’re really delicious (I’m becoming addicted), and the other great thing is their size – they aren’t too big or too small. 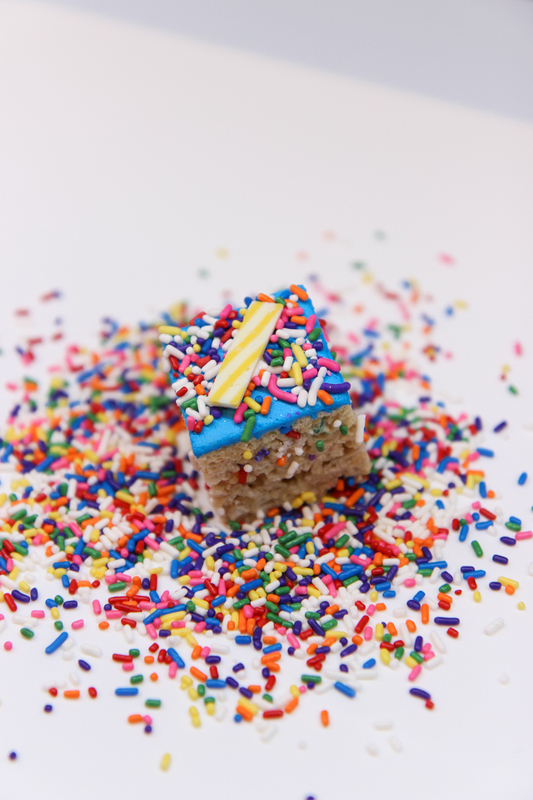 They’re billed as being “three bites,” and they’re enough that you feel satisfied, but not so big that you feel sick after eating them (like many cupcakes, not that that’s ever stopped me). The best part of this whole adventure, according to Chris? Doing it all together with his wife and being by each others side throughout the whole adventure. 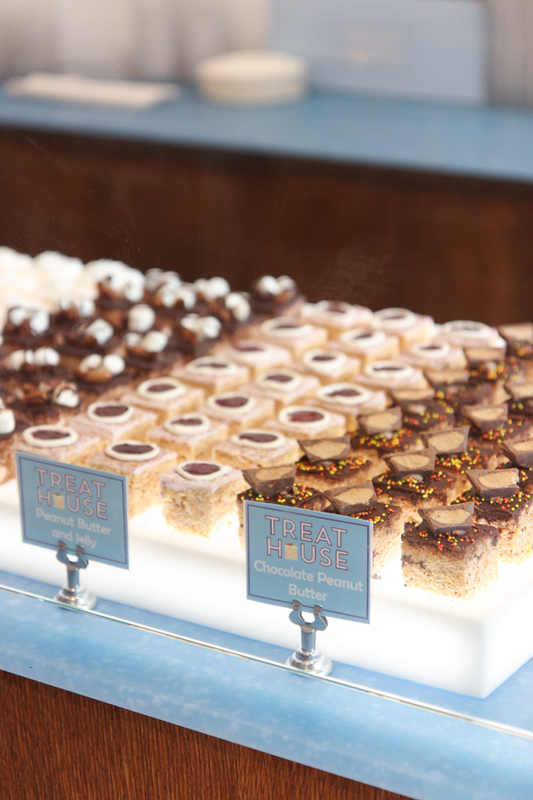 The Treat House started as a family business, and despite plentiful success, it remains that way – which is part of what makes it such a unique and charming spot. These are so adorable, and the family has such a great story! 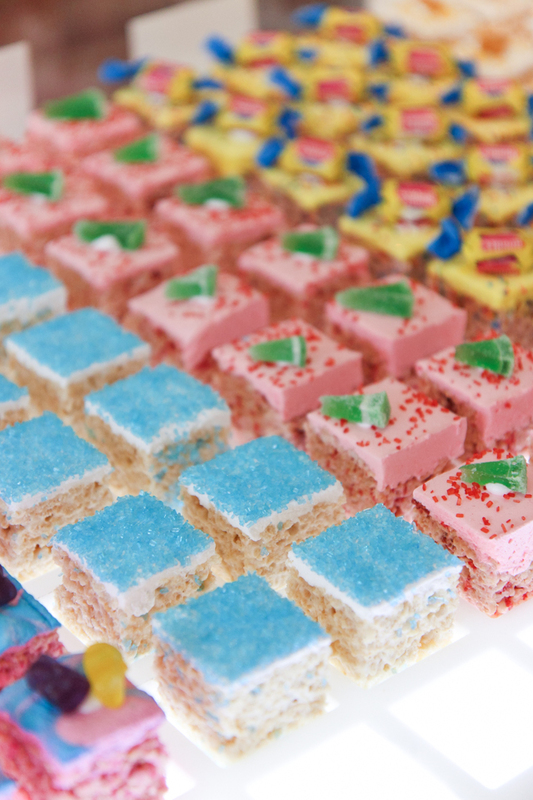 It’s crazy to think how it all started out as just a bake sale. I love that they want to keep their family shop appeal while still working with corporate clients – it’s so easy to get lost in the business side of things. 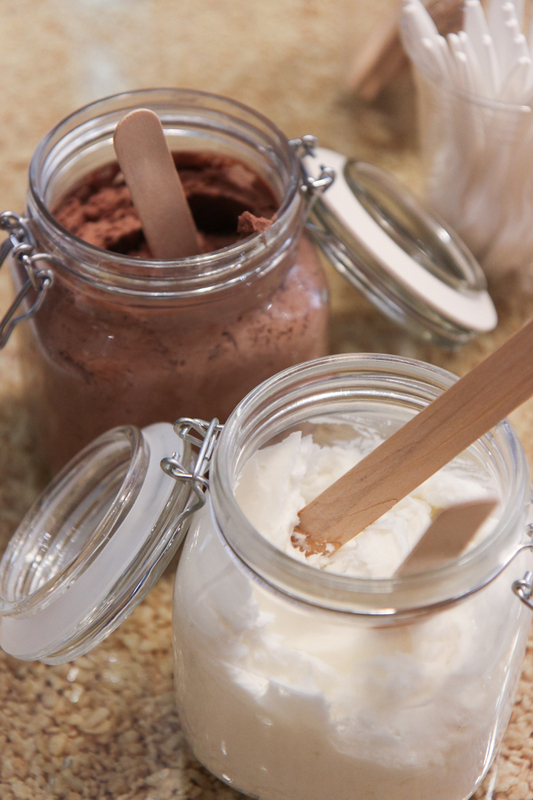 These are required treats for when you come home. 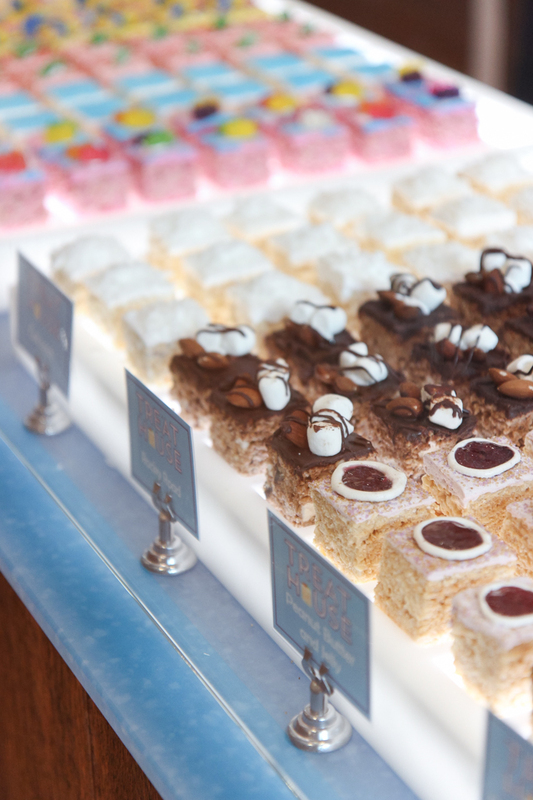 One of each!